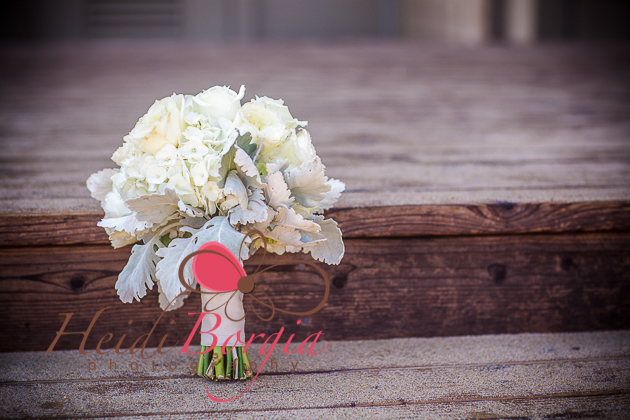 Almost all of our packages include flowers including a brides bouquet and a grooms boutonniere. If you need additional floral items, just let us know! We work with one of the top 10 florist in the United States (locally based) and they have been great - even with last minute additions. If you need bridesmaids bouquets, a corsage for mom or a small bouquet for your flower girl, just ask -- we are here to help. See our photo gallery of recent florals from our florist. Rose petals are included in most of our packages on a complimentary basis. Many venues no longer allow rose petals (e.g. City of Carmel, California State Parks, Pacific Grove parks which in that case we cannot provide the petals). However, there are some great alternative ideas for your flower girl including carrying her own bouquet, blowing bubbles or handing single flowers to everyone on the aisle as she walks towards the front. Flowers for the arch. Aside from our Super Luxe package, our arches come undecorated. Some brides like to add a little more color by ordering some complimentary pieces that we can attach to the arch. With the white wood lattice arch, an additional arrangement attached to the sides of the arch cost about $40 - $50 each while a floral arrangement for the top of the arch is about $75 - $95.